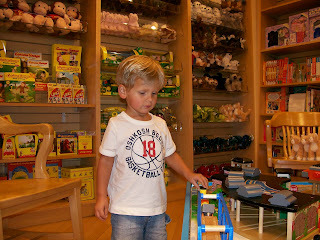 Whenever we go to The Woodlands, Dawson requests a visit to Barnes & Noble. 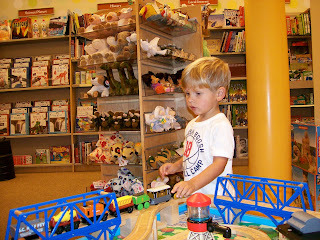 He loves the Thomas the Train table they have set up in their children's book section. He used to play exclusively with the train table, ignoring all the books around him. Now he tends to favor the books but still makes time to play with the trains.